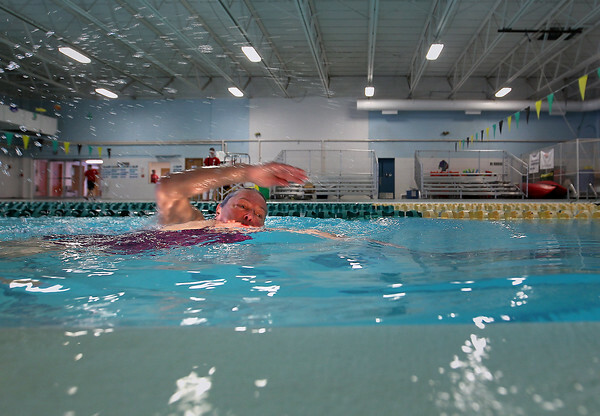 Paula Hartmann swims laps at Easling Pool inside the Grand Traverse County Civic Center. The pool, still owned by the county, has reopened and is now operated by the Grand Traverse Bay YMCA as its "Central" location. "It is heavenly, my back has been killing me for a month now," Hartman said of the pool's temporary closure. "This is the only thing that keeps me going."